CNES is gearing up for a very special kind of launch in December, when Ariane 5 will be lofting 6 satellites into orbit at once—a first for Europe’s launcher. Among the passengers will be the Helios IIA satellite, designed to give the Helios military surveillance system enhanced resolution and data access capability. 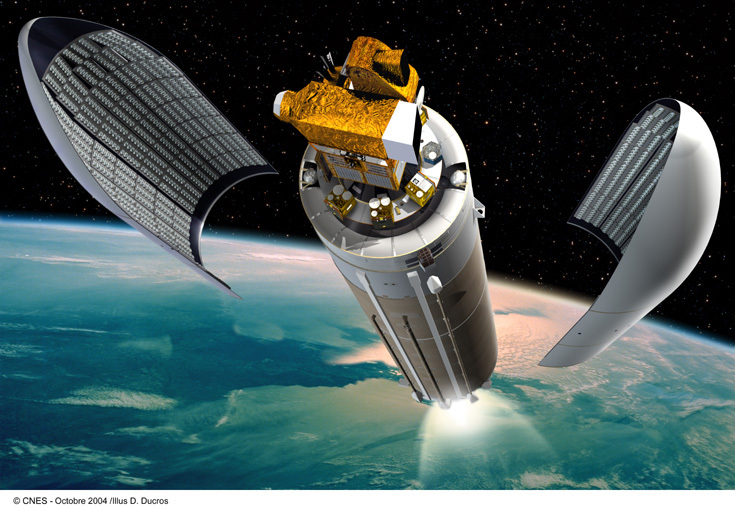 In December 2004, after a final series of checks and adjustments, the Helios IIA satellite is scheduled to join its 2 predecessors, Helios IA and IB, in orbit. 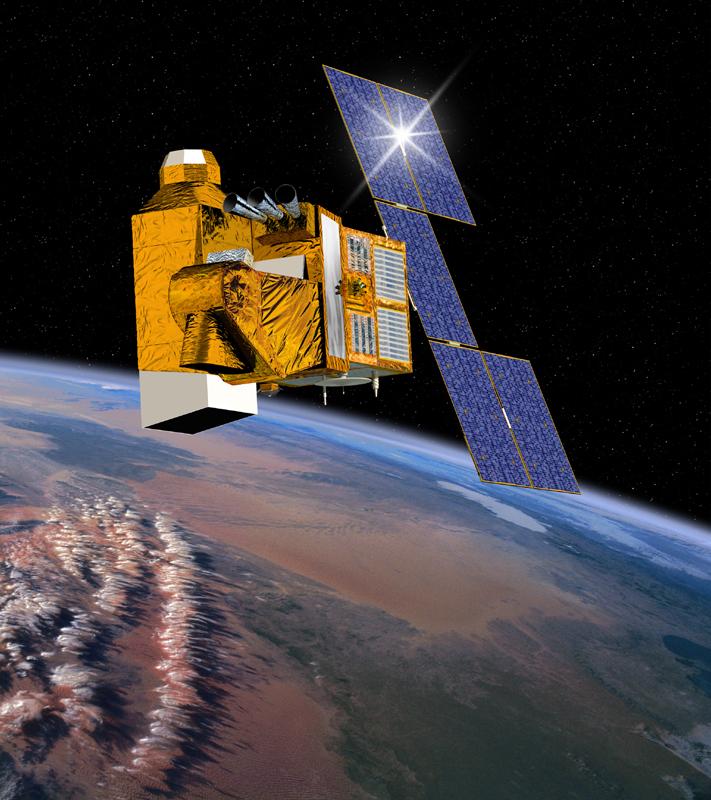 Helios II, which also comprises 2 satellites, is a second-generation military surveillance programme developed by France in partnership with Spain and Belgium. Helios II will operate in the visible and infrared portions of the spectrum to deliver imagery to the French military night and day. France also has an agreement to exchange some of Helios II’s optical observing capacity for future radar observation capacity now under development in Germany and Italy, thus affording it an all-weather imaging capability. Enhancements provided by Helios II include significantly improved resolution, more imaging capacity and faster access to imagery. The new system—which will also support targeting, guidance, mission planning and battle damage assessment—has been designed to accommodate future upgrades, including new users and new sensors. Helios IIA is now in the home stretch as project teams actively prepare for launch. It will be no ordinary launch, of course, since there are 5 other passengers on the trip. In particular, Helios IIA will be accompanied by the Essaim demonstrator comprising 4 microsatellites developed by the French defence procurement agency DGA. The aim of this demonstrator is to lay the groundwork for a future space-based electronic intelligence (ELINT) programme. The last passenger on board Ariane flight 165 will be CNES’s Parasol microsatellite, dedicated to observing clouds and aerosols. This launch is a major first for Ariane 5, charged with carrying 6 satellites safely to their destination.